I really can't praise this novel enough and was genuinely disappointed when it ended. Despite the harrowing subject matter I could have followed the lives of the two protagonists forever, which says a lot about the psychological acuity with which Rooney writes. 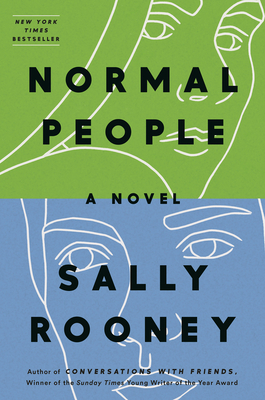 Rooney is able to masterfully broach topics of intense trauma, the ever present denominator of class and gender, the meretricious posturing of literary culture, the misguided attempts to increase personal liberties via a more lax libidinal social contract, and many more all within the span of 200 pages. Here is a (very) young writer who has an astonishingly perspicacious understanding of our times and should be introduced to and kept in public view. When Marianne and Connell's secret relationship leads the pair to attend Trinity College together, past reputations are left behind. Each chapter allows an intimate window into their separate lives over the years to come, as the two attempt to reconcile their fractured identities with a longing to stay in each other's lives. I couldn't stop reading!